Thinner, because The revolution will not be televised. I feel like coming up with something similar for 'ecological planting'. 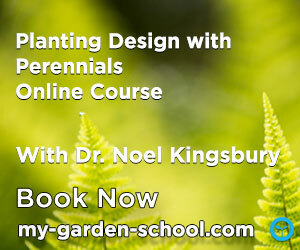 There is much talk of ecological planting? Is anyone actually doing any? Or is it all talk? What is ecological planting anyway? Well, it is always nice when words convey meaning we can all agree on, and in this case we are not just talking about something with the equivalence of an artistic movement but also something that a direct impact on biodiversity. There is always the ever-present danger of 'greenwash', something sounding green and good for the environment but in fact just a trendy feel-good facade. 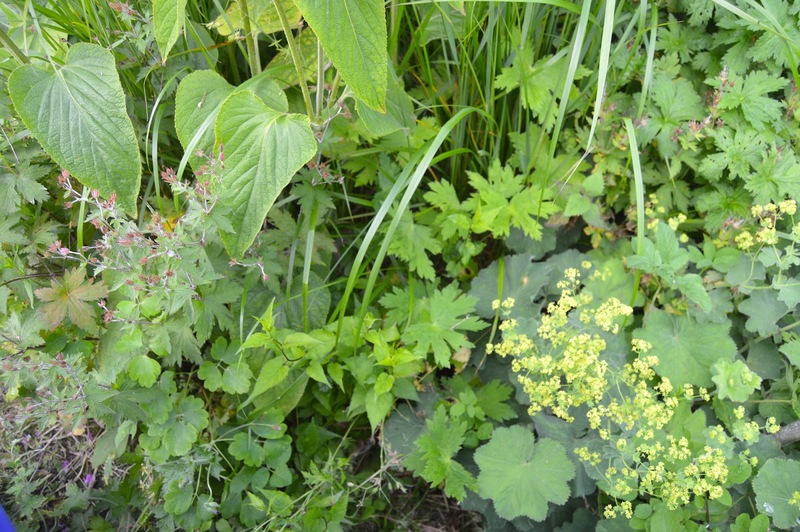 Years ago (late 1990s) Nigel Dunnett and James Hitchmough had made the distinction between 'naturalistic' planting and ecological functioning, i.e. you can have 1) something that looks natural but is either completely static or dependent on quite intense management or 2) a planting that is to some extent dynamic, i.e. its components are going through active processes of seeding, spreading, dying. An ecologically functioning planting should have some level of stability, so it can continue to exist without too much human intervention. One example might be a meadow, which is dependent for its long-term survival on annual mowing but otherwise is relatively stable from year to year. 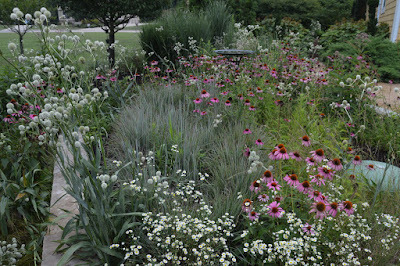 Now, it should be pretty obvious that there is a lot of good planting design that falls into the former category, natural looking to most observers but in fact not in the remotest sense a dynamic self-sustaining plant community. Anyone with any knowledge of basic plant ecology would not be fooled, and more importantly neither would most invertebrates seeking a habitat. Compare such a planting to a natural or semi-natural habitat like a meadow and it is immediately obvious that any horticultural planting is almost absurdly low density. In a wild habitat, gaps between plants are often difficult to see, whereas in a human-created planting they are usually pretty obvious. It is possible to get tens of species in one square metre in the wild, whereas most artificial plantings have 4 or 5 plants (never mind species) to the square metre, or 9 at the most (this figure is significant, as we shall see). Think about this disparity in density in habitat terms – the artificial planting will be almost inevitably far poorer. So, before doing too much slapping ourselves on the back about what a good turn we are doing for nature, let's just consider the absurdity of thinking that just because we've got something that looks rather natural, and/or is composed of locally-native species we've created something that is any way equivalent to a natural habitat. If it's got gaps between plants its ecological functioning will be below par, and it will be unstable (space for weeds). Ecological planting it is not. The revolution will never be bought at the garden centre. Above all, because the whole 'perennial revolution' has happened alongside the interest in naturalistic planting there tends to develop the thought in too many heads that “it's all perennials therefore it must be ecological”. At the same time however, let's remember the much-quoted Owen research which showed just how many insect species an average (i.e. not in the remotest sense ecological) British garden contains. This shows us the exciting possibilities! Imagine how much biodiversity a garden could contain if it had something approaching the density of real habitat AND the range of diversity that most gardens include anyway (trees and shrubs and perennials and climbers). How do we measure garden biodiversity? Not easy. Never is. Owen simply counted species not their frequency of occurrence in comparison to 'nature', and if you look through the academic literature it rapidly becomes apparent that there is no easy, or for that matter difficult, way to measure overall health of ecological functioning. What sometimes is done by researchers is to take one particular aspect, usually a category of insect, and use that as an indicator. Trouble is, it will be different for different types of habitat. Currently there is much focus on pollinators. And much trendy nonsense spoken; trouble is - where there are marketing opportunities, pseudoscientific gibberish soon follows. Pollinators could a relatively easy group to use as an indicator for ecosystem health. The trouble is though that I could imagine a garden planted with pollinator-friendly plants buzzing with bees etc, but which actually supported very little else such as ground-level invertebrate biodiversity. How much do we want to create gardens that are genuine biodiversity reserves? If we really want to create plantings with an ecological functionality that approaches equivalent natural environments, then we must be honest in making clear the distinctions between these and plantings that merely look a bit wild. Anyone who sows a meadow or prairie and got it to a point of reasonable stability will have created a functioning ecosystem. BUT, this won't be a garden but only a habitat restoration. In the US however, practitioners such as Larry Weaner have started to tweak seed mixes to create what are essentially ornamental versions of natural ecosystems. The much richer flora of North America (compared to much of Europe) allows this. But it still is not what most people would regard as a garden. 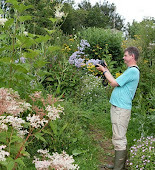 BTW there's a great example of his work coming up in Gardens Illustrated soon. So, any other, more garden-like, examples? The best can be seen in lightly shaded habitats where light levels knock back grass growth, the main enemy of plant diversity (dense north European grassland could possibly be worse in ecosystem functioning than your average garden). Or indeed other, slightly stressed habitats. Established gardens sometimes have amazingly dense and varied combinations of woodland species in such places. One of my favourite such areas is the woodland garden at Wisley (the one near the new glasshouse): a whole range of rather competitive woodland edge species, native and introduced fight for supremacy, and with the possible exception of one patch of comfrey, nobody seems to be winning. Maintenance seems to be limited to the odd clear-out and re-plant, which I suspect has the effect of 're-setting the clock'. A spectacular example I saw recently was as Innisfree in NY State, where a shaded rocky slope is home to a bewildering variety of naturalised garden plants, mostly non-native species, but mixed with natives. According to Kate Kerin, the Landscape Curator there, this would have been planted up between the 1930s and the early 2000s and gets only limited maintenance – mostly pulling of grass and tree seedlings. One of the sights in this fascinating, but also rather precipitous, place is a big patch of Coreopsis verticillata and Convallaria majalis growing completely intertwined, two species of very different habitats (sun, dry and shade) no gardener would have put together. Nigel Dunnett's planting at the Barbican in London may be only a few years old but shows enough self-seeding to suggest to me that it could stabilise as a genuinely ecologically functioning planting. It's essentially a green roof planting, so seasonal drought will limit grass and weed growth. 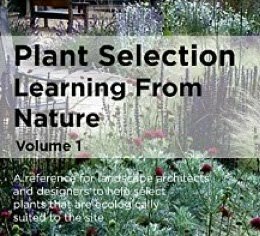 James Hitchmough's various plantings, all created from seed, should theoretically, lead to semi-stable ecosystems, but I have personally not seen one that convinces me, yet, although some of the Queen Elizabeth Olympic Park ones may yet do so, and I have heard good reports of others. In two gardens in Herefordshire, I feel I have got pretty close to achieving small areas of genuine ecological planting, with really dense species intermingling. In my last garden I ran a trial for seven years which went someway to convincing me that, in the most challenging situation of all: fertile moist soil, full sun, this might be possible. These conditions favour the growth of strongly competitive plants which could possibly swamp everything else and most dangerously, favour weedy grass growth. This never happened (success! ), but somewhat disappointingly, an analysis of every 10cms square after seven years, revealed that there were still a lot of gaps. In reality these could probably be filled with ground-level creeping species and more seeding short-lived species. More species need to be packed in to really create a dense multi-layer habitat. I, like everyone, have a lot to learn here. 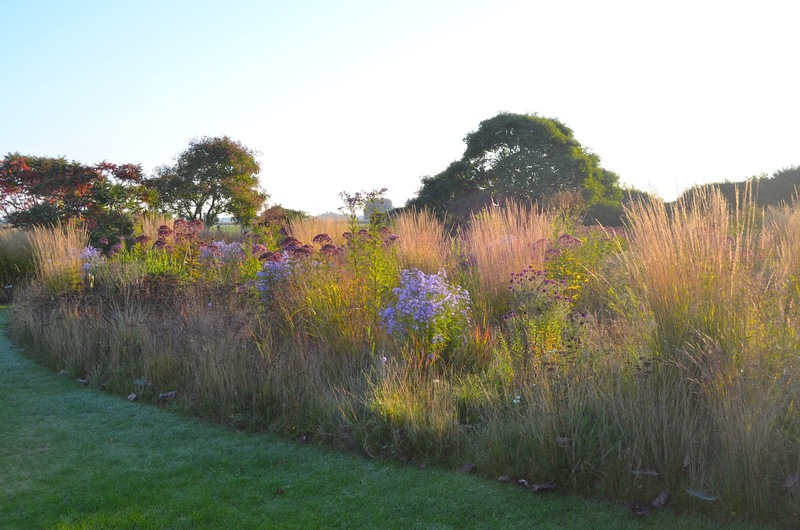 What about Oudolf-style perennials or German Mixed Planting systems, which use long-lived perennials at around 8-9 plants per square metre? They are designed to be relatively stable, but also allowing for a certain amount of self-seeding. They seem like a very good starting point for a genuinely ecological planting. Not TOO stable though, as that can preclude any ecological functioning (think prostrate cotoneaster ground cover). 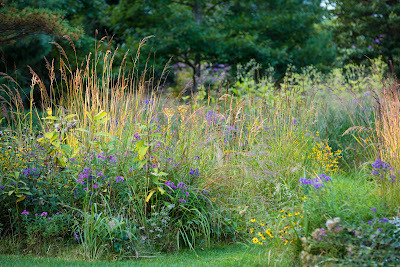 And, on the subject of Piet Oudolf, he has created one of the most interesting and successful combinations of an ecological planting (native grasses and wildflowers) and non-native perennials. See here: This approach is certainly one which deserves much more research: but very dependent on having low fertility soils. The fact is that we have hardly begun to explore the possibilities of what ecologists are now calling Novel Ecosystems: “a system of abiotic, biotic, and social components (and their interactions) that, by virtue of human influence, differs from those that prevailed historically, having a tendency to self-organize and manifest novel qualities without intensive human management.” quoted here. From now on I'm going to talk about: NOEs: Novel Ornamental Ecosystems. 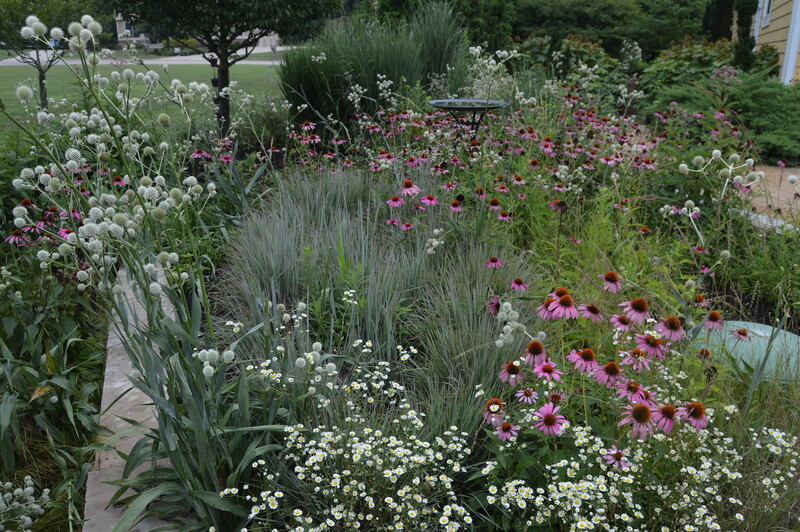 How do we assemble plantings that look good, with species from multiple origins that are so dense that they can offer wildlife as many opportunities as natural/semi-natural plantings, and which are stable enough to make maintenance easy? This is now the challenge. Let's raise the bar.